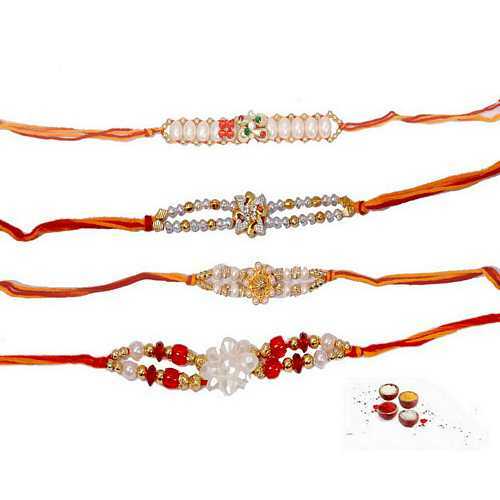 This is a set of four fascinating rakhis built and designed with shining pearls and sparkling golden beads. 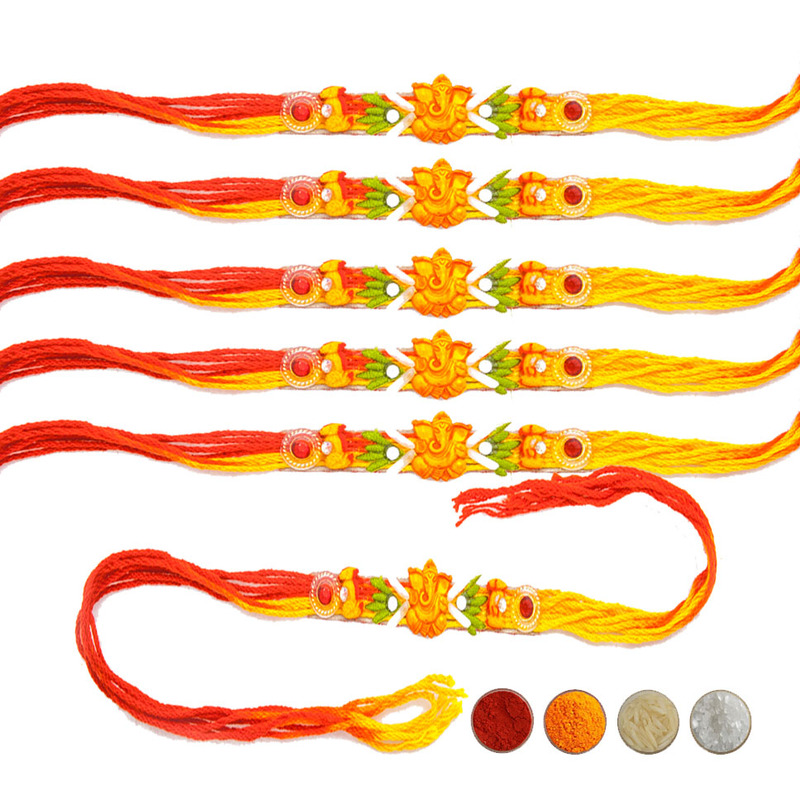 All the rakhis are elegant and will be surely loved & admired by your brothers. 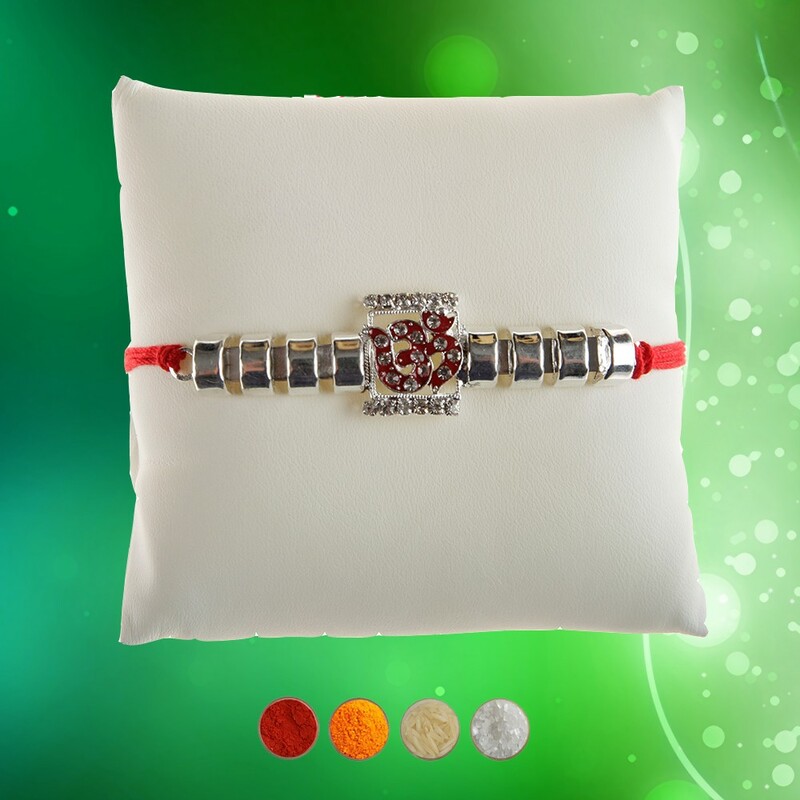 Apart from pearls and golden beads the fourth rakhi also has beautiful red beads. 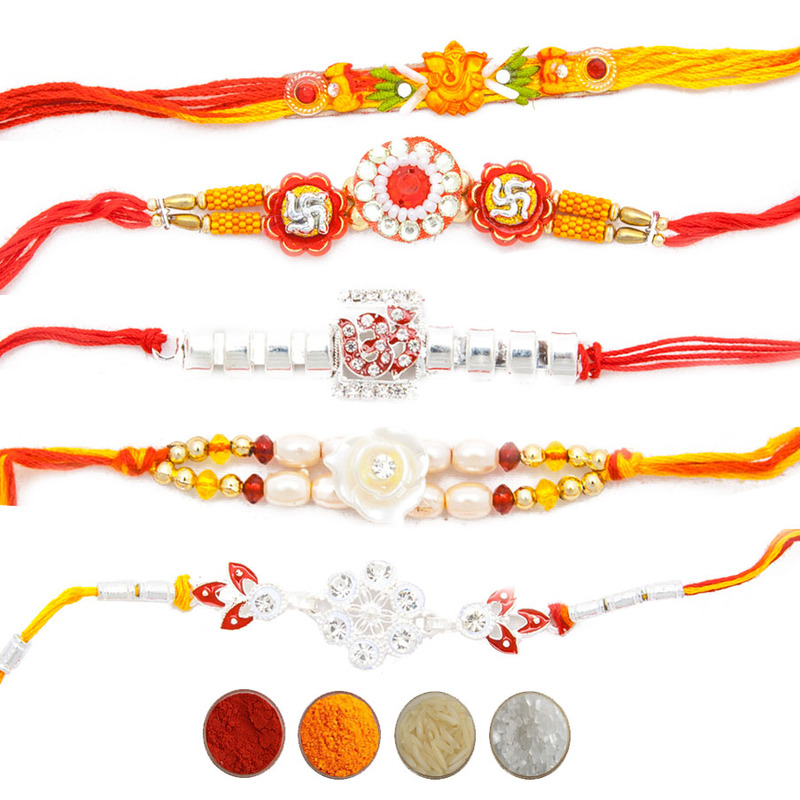 Send these beautiful pearl rakhis on this auspicious festival of Raksha Bandhan with your love and wishes. 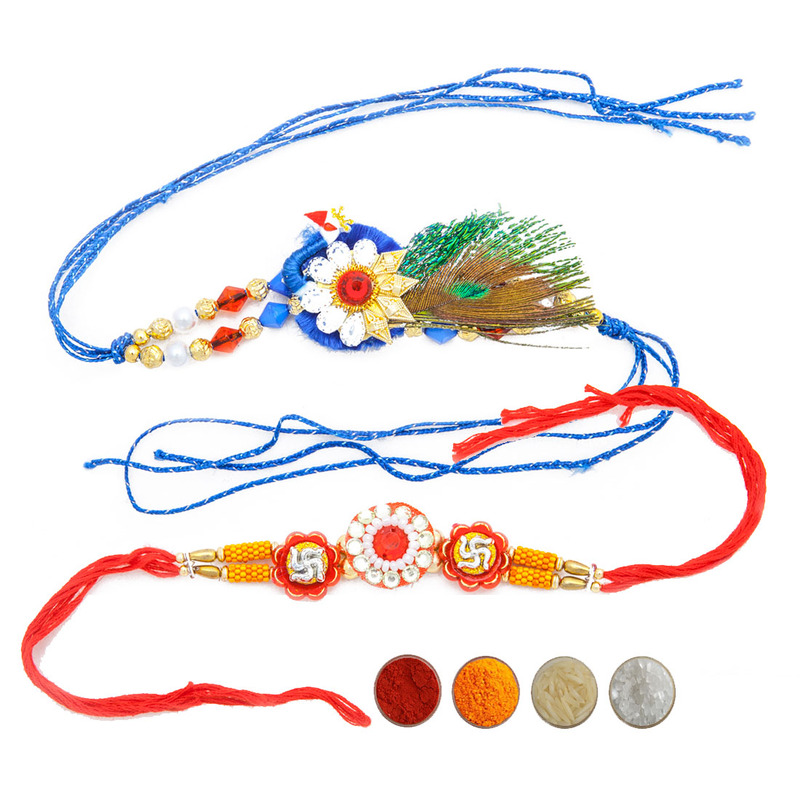 All the rakhis have beautiful mauli look Resham Dhaga threads giving traditional looks. 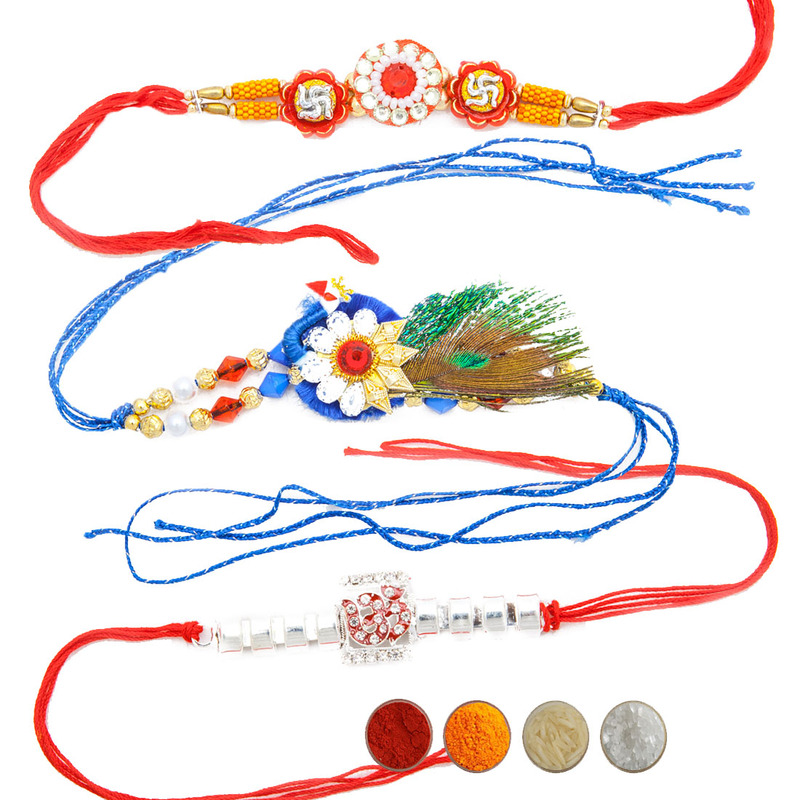 We are offering these fascinating pearl rakhi threads with complimentary Roli, Chawal, Chandan and Mishri in very attractive pack. Disclaimer: Raksha Bandhan is on 7th August, 2018. We ensure to deliver your order on or before the Rakhi Day. Our cut-off dates are following. Indian Metropolitan Cities Delivery - 3 August, 2018 till 2PM. International Delivery - 1st August, 2018 till 2PM. Indian Rural or Remote Area Cities - 1st August, 2018 till 1PM. Orders received after above cut-off date will be delivered on Priority Basis. It's our high-quality that makes us stand tall in the row. Send Elite Rakhi to India is committed to providing you handpicked Rakhi designs from the very talented craftsman of rural India. It's our endeavor to maintain the perfect balance between low cost and superior quality this is what we are known for. We would love to hear from your side and what else would justify it than our 24*7 helpline. You will get an awesome assistance from our customer support at any time of the day. We have dedicated, knowledgeable and professional staff waiting for you to deal with you on the other side of the phone. We are privileged to announce, that we offer the fastest delivery of your purchase. Our logistics partners aid us in reaching to your location at the fastest. The company is committed to providing delivery on or before the delivery date. With this, the same day delivery option on special products at few prominent locations is what bejewels the fast delivery services. Your payment details are safe and secure with us. We have the best technology inbuilt payment gateway that keeps your card details and bank details safe and secure. We don't send your data to any third party; hence you can unhesitant proceed for secure checkout with us. We accept all major brand debit and credit cards.